Filet crochet is a type of crochet where an image is made by the arrangement of stitches. The image is made when you follow a filet crochet pattern combining open squares and filled blocks. And the process is so easy; all you need to know are a few basic stitches, like single and double crochet stitches. In addition to these basic stitches, some patterns also require the ability to increase and decrease the number of stitches. You can create a piece of art by using a series of crochet stitches; the contrast between the open squares and the filled squares creates the image. Using thread or yarn and a crochet hook, you can crochet intricate designs that are worthy of being called art. These pieces of art can be attached to a decorative pillow, framed, or combined with other similar sized squares and designs to make a bedspread or throw, etc. Let your imagination be your guide. Given in any of the above forms, a handmade crocheted work of art is always a much appreciated and valued gift. And don’t leave yourself out - make something for yourself! Make holiday and seasonal decorations for yourself, and you can change them according to the celebration. 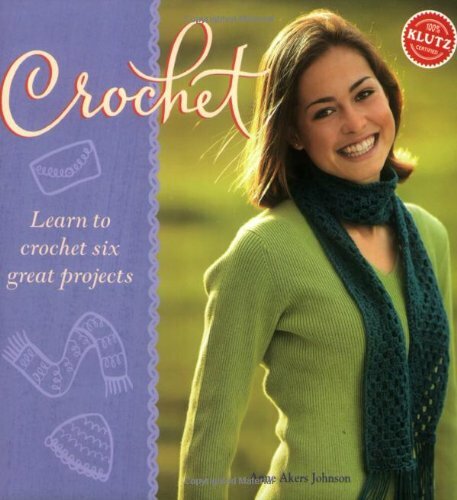 If you don’t know how to crochet, then you can learn the basic stitches you will need to know from books, DVDs, online, or sign-up for a class. Amazon, your local craft store, online sites, and libraries are good places to look for beginner’s instructions on how to crochet. Next, you will need some basic supplies: a beginner’s pattern, steel crochet needles, cotton thread or yarn, a ruler, and a magnetic board to hold your pattern and line markers. Patterns and charts, to complete the projects shown in the books, are included. When you browse online, you will find many other books, which you might find helpful, too. One of the easiest ways to find a variety of patterns is to search online. You will find many sites that offer free patterns, and others that have patterns for sale. Search through the patterns offered, and find one that you would like to make. Once you have selected a pattern, the instructions, with the chart, will describe the finished size of the work based on the size thread and needle you choose. Most filet crochet is done using cotton thread, usually in white or ecru. A chain of single crochet is the first step; the number of single crochet stitches will be included in the pattern. The first row shown on the chart is stitched into the chain, and the sequence of open squares and filled blocks should follow the chart. This first row is worked reading the chart from right to left. The second row of open squares and filled blocks, shown on the chart, is read from left to right. I know this sounds complicated, but it really isn’t. Once you have your needle and thread in hand, and the chart in front of you, take it step by step. You will be surprised how simple this needlework is, and once you see the image beginning to take shape, you will be thrilled. Now that you have mastered the basics of crochet and filet crochet, you can take your acquired skill to another level. If you have artistic skills, then you can design your own patterns and chart them for your pleasure, or you can sell them online. There are several software programs you can purchase to help you with your design and charting. Or, why not take it another step, compile a book of your own patterns, and offer it for sale on Amazon. Over the years, I have made several filet crochet pieces that I have been pleased to give away as gifts. My very first project was the Peace Dove (pictured above), which I made and gave to my daughter. She and I made a pillowcase cover, and hand stitched the Peace Dove onto it. She uses it as a decorative pillow on her bed, and plans to pass it on when she has a family. Another very special art piece that I completed was an Angel. Soon after completing it, my sister was going through some difficult times, so I knew this Angel was meant to be with her, to watch over her. And it does. Framed, it hangs in her bedroom, as her Guardian Angel. This type of crocheting is also a very popular way to make edgings or lace, which can be added to just about anything in your home, as well as to clothing. I once adapted an edging, a train design, to make a picture for a friend who collects all things dealing with trains. It was a surprise and certainly something different from anything else in his collection. 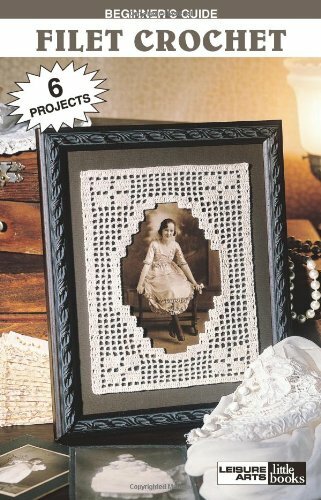 Look through filet crochet patterns, find a pattern to make for your child, another family member, or a friend, and make a special gift for them – something that they, too, can pass on to future generations. Another great gift for your daughter is to teach her to crochet and how to do filet crochet; then, you can make it a mother and daughter craft. I keep beside by favorite chair some type of needlework: embroidery, knitting, crochet, needlepoint, or counted cross-stitch – something to work on while watching television. I have been looking for a special filet crochet design and chart for a small angel. I want something that I can make up for a friend or acquaintance, if I hear they are going through tough times. Something to comfort them, and that says I am thinking of them. 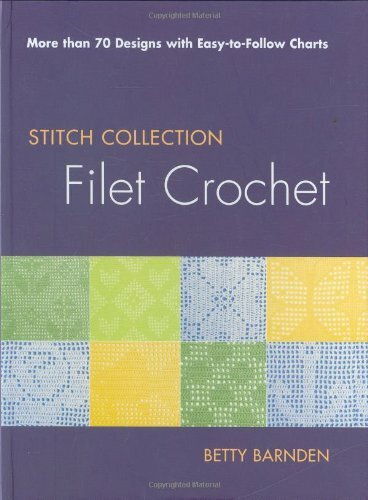 I love filet crochet; I hope you will give it a try, and like it, too. I am not going to 'do crochet' myself. However, I shared your article with one of my aunts, and she liked your information very much. Thank you for forwarding my article on to your aunt, I really appreciate it. And thanks for stopping by and commenting, too. Really nice to see the subject "Filet Crochet" on the front page. Crochet is a very dear to me. Started crocheting about 9 years old and taught a number of people the craft. Made just about everything for the home. Like your idea about creating your own patterns and sell them on ebay. I've thought about it over the years, maybe I should put this on my "To Do List" and take action. Really nice article with some great tips and directions. Thanks for your read and comment, Shivon! I am glad to meet another crochet fan. Several writers here on IB have written and published books on Kindle/Amazon, so it would be great to publish a book with the patterns you have designed. And kudos to you for sharing and teaching this skill to others; what an awesome gift you have given to them. Congratulations on a well deserved feature article! Thanks, Diva, for the read and comment! Excellent article, Southerngirl09. My mom does filet crochet; her pieces are so beautiful, just like artwork. You've inspired me to give this craft a try. Thanks for sharing. I appreciate your kind comment, Jeni10. 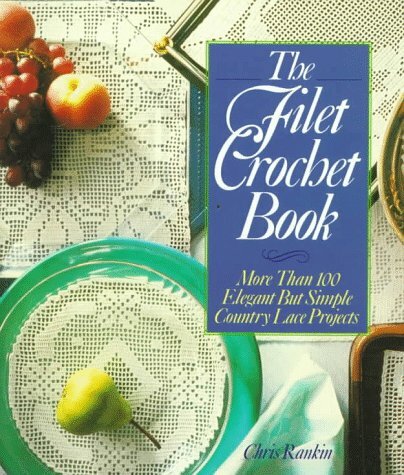 Your mom will be pleased when you ask her to teach you how to do filet crochet. Enjoy! Thanks for your read and comment, Eileen! I hope you will give this form of needlework a try. It is fun to see the design take shape. Wonderful article! I like to crochet, although I have never attempted this stitch. I understand it much better, now!